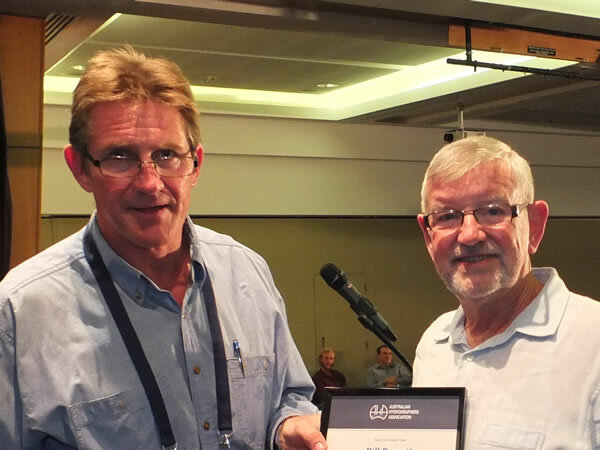 Simon Cruickshank was inducted as an Associate Fellow of the Australian Hydrographers Association on Tuesday 13 November 2018. Simon commenced work in hydrography in 1994 after an aborted career in the marine industry. Signing on with what was then the Department of Land and Water Conservation (now WaterNSW) as a hydrographic cadet, Simon was based in Forbes for seven years becoming intimately familiar with the hydrology and geomorphology of the mighty Lachlan River including placements at the instrumentation facility and water quality laboratory. In 2000, with the attraction of returning to the coast, Simon and his family relocated to Darwin in the NT. Initially employed as the Hydrographic Manager, this role has recently been extended to Director of Water Monitoring. Simon enjoys the challenges of operating in the remote and incredibly diverse NT, where the scale of operations requires staff to wear many different hats. Simon up until recently had been a great contributor and committee member of the AHA (including his role as AHA Vice-President from 2015-2017). Congratulations Simon for your contribution to the profession and particularly to the AHA and your appointment as “Associate Fellow of the Australian Hydrographers Association”.